While I won’t comment on the kid’s couture, I thought the bride is the first pic was very pretty. I especially liked her veil. Didn't like the page boy outfits! 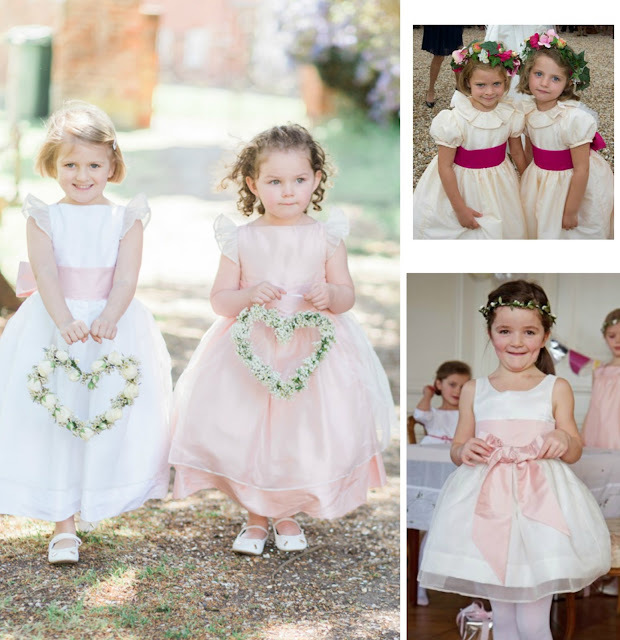 But the flower girls outfits are cute! I liked Pippa's dress!